Yeelight/Xiaomi Smart Home updates, news, rumours & more! Yeah, I want to know the same thing. That for me is misleading advertisement. I’m starting to lose hope on Yeelight. How long until the Yeelight Smart LED Bulb (v1 and v2) can be controlled? 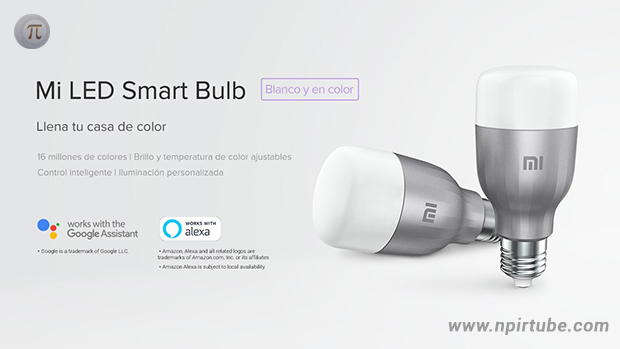 If you look closer this bulb don´t have the yeelight logo, is the Mi logo, because in Europe (I´m from Spain) the v2 bulb will be launch as Mi Bulb with the grey cover. The logo could be on the other side. Neverthless we need an update on this. Actually you are right. The product have just been released yesterday on Amazon.de (maybe it had been earlier in some other countries). The strage thing is that I had ordered a Yeelight Bulb 2 in January and the one I got had a completely “European” box and manual (everything in English, no hieroglyphs). I thought that it would be integrated into the Xiaomi Europe ecosystem. Hi! I want to know what ceiling lights will have HomeKit support. Thank you. Hi there! I still waiting for the HomeKit support update in my Yeelight Color Bulb. Please give us some news about. CES and MWC finished, we are already in April and we have not the update yet! Any news on a homekit enabled lightstrip? We are working on homekit certification for new firmware version, stat tuned. Please give us some kind of estimation on the Homekit support release.